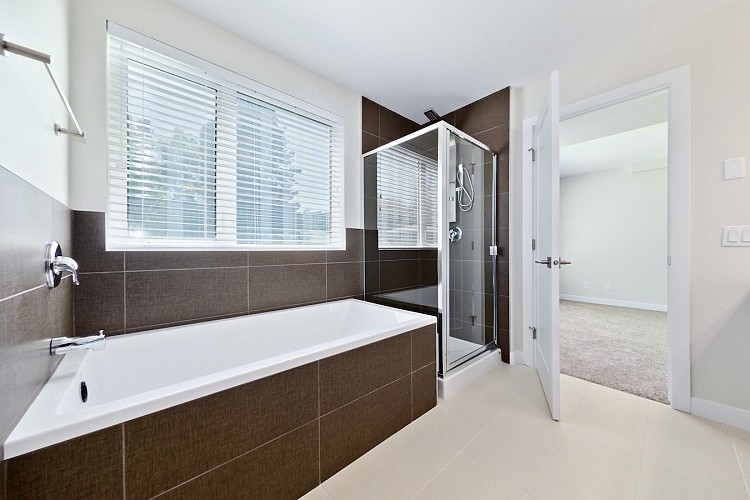 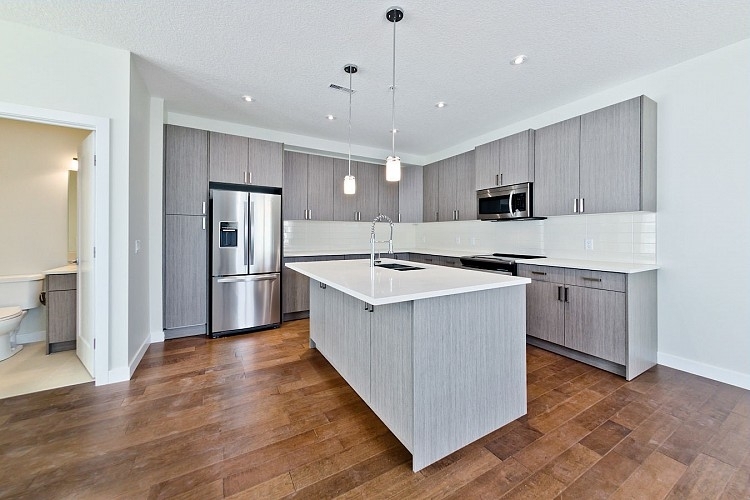 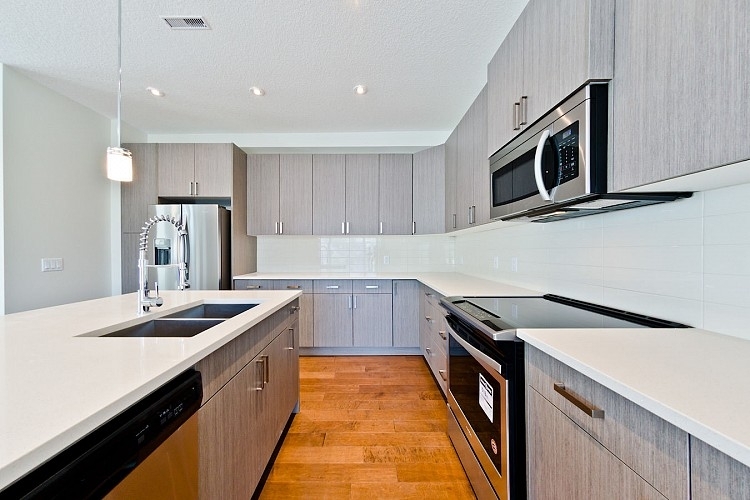 This executive townhome in Bankview is developed with finite detail by a private developer. 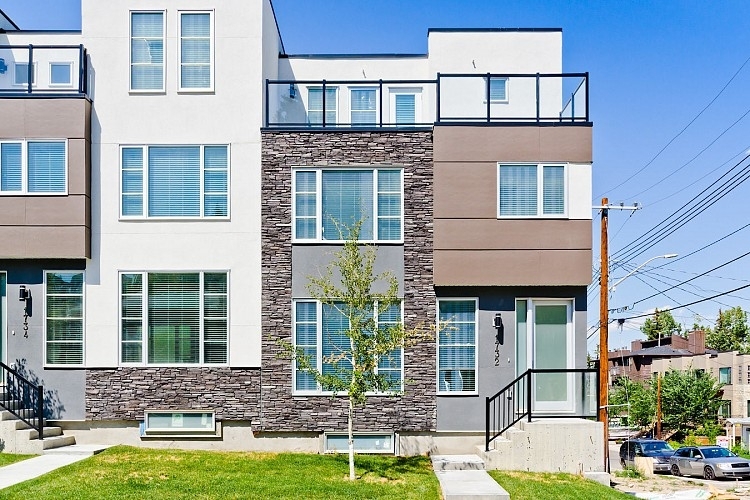 Tucked away on a quiet street by a playground & minutes to Marda Loop & 17th Ave! 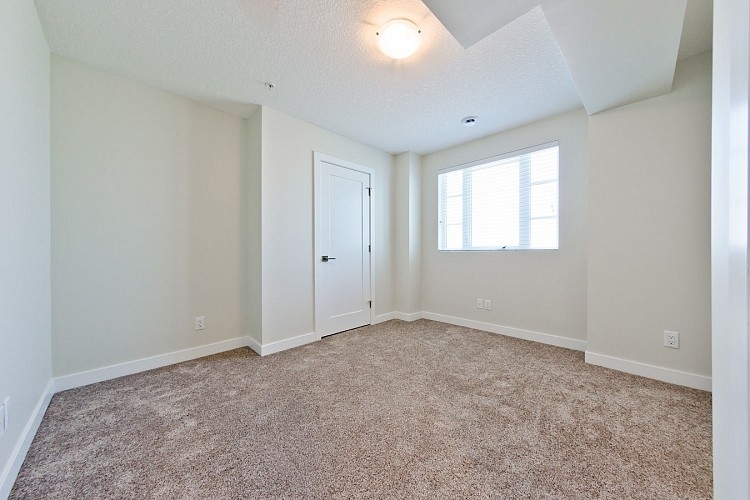 This unit is developed with approximately 1700 square feet. 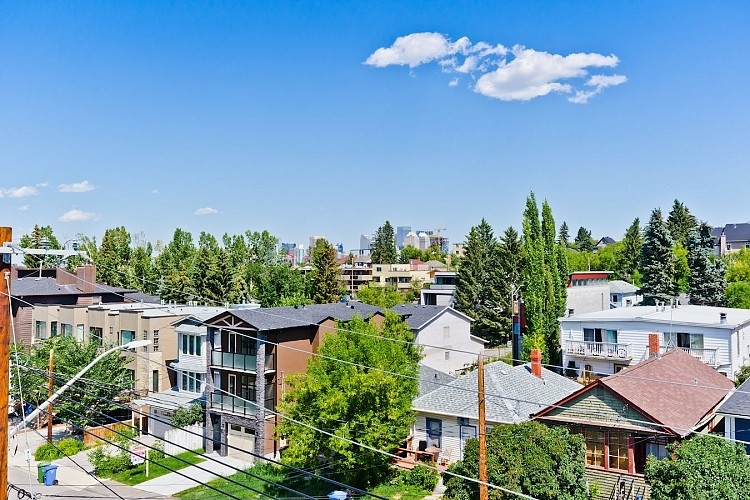 Enjoy many upgraded perks such as a South facing TOP FLOOR patio with city views, large square footage for the community and type of property. 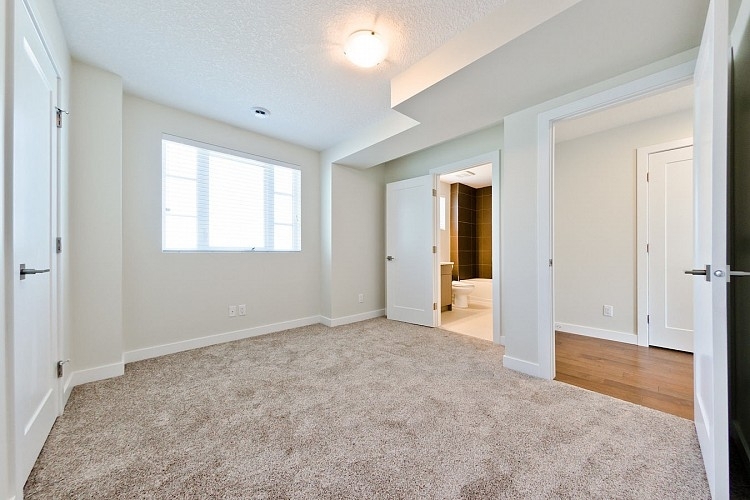 Featuring a large open concept main with upgraded hardwood throughout. 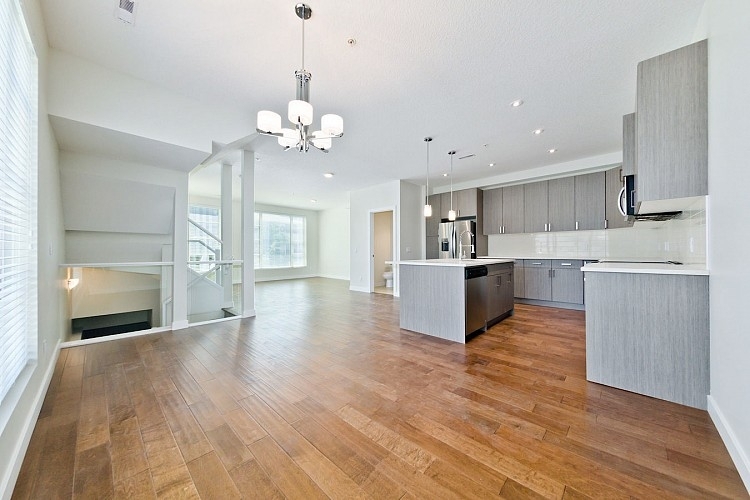 10” ceilings, spacious living room, dining area & high-end chef’s kitchen complete the main floor. 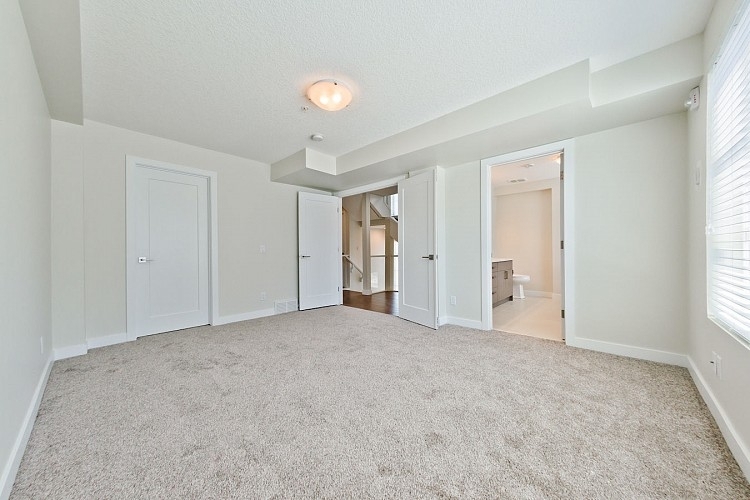 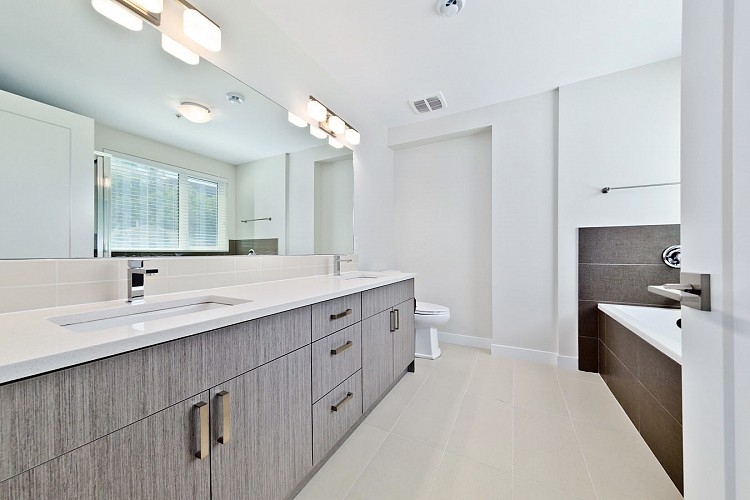 The second floor offers 2 large master bedrooms both with walk in closets & STUNNING 5 piece ensuite with separate shower, soaker tub & dual sinks! 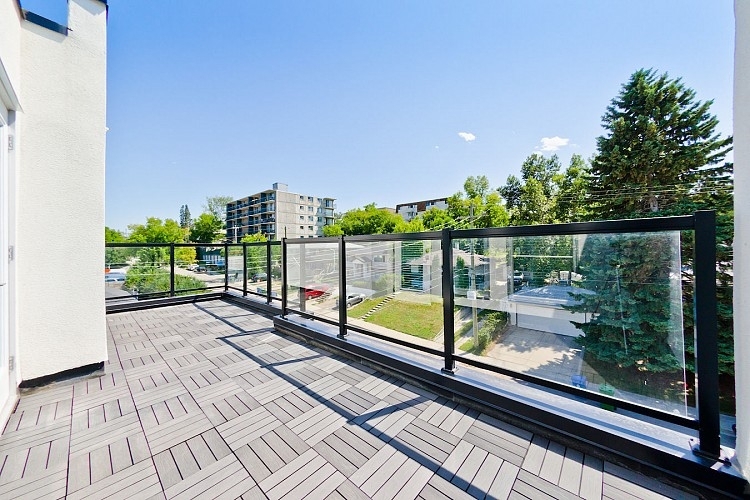 The third level has a third bed & bath or can be used as an office that provides access to the large patio space. 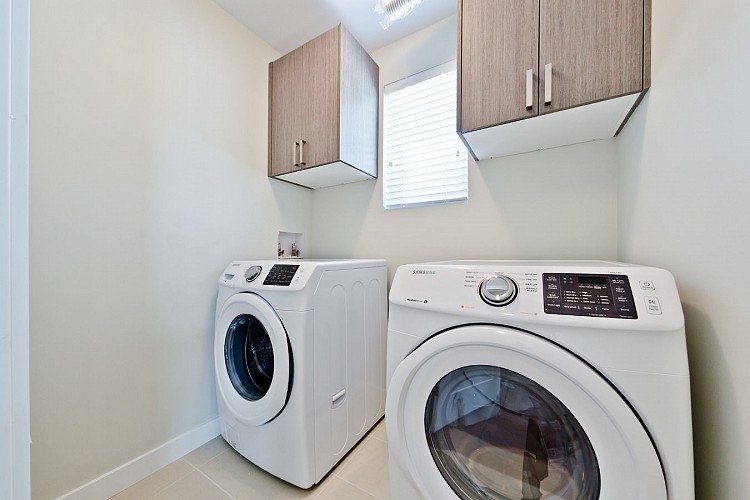 Laundry room offers Samsung front load washer and dryer as well as great cabinetry. 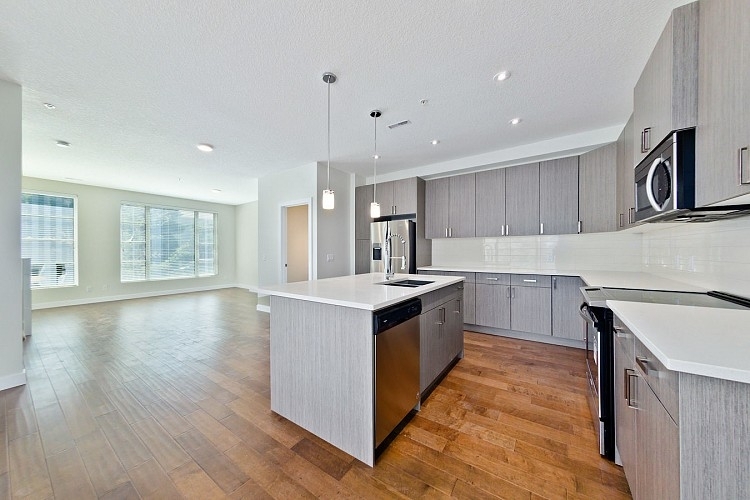 This small complex has 5 units in total and shares an underground heated parkade with direct private secure access into your own unit. 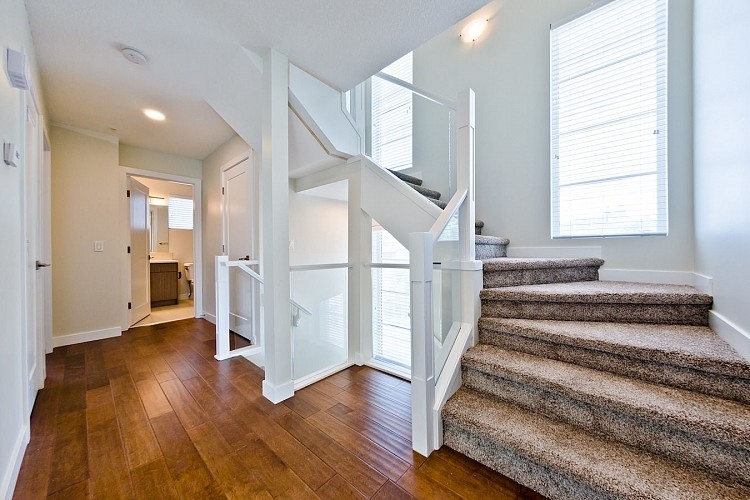 Attention to detail shows as you walk through this beautiful 3 level property. 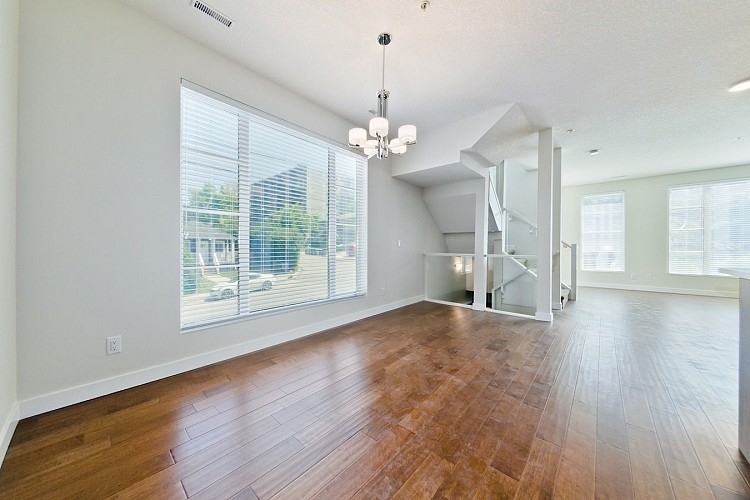 This is a corner unit, allowing for lots of natural light to flood in through the glass railings in the stairwell. 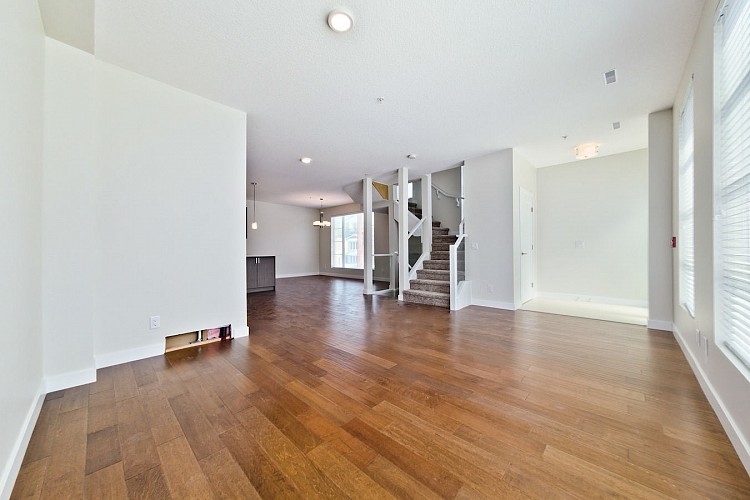 If you could see yourself living in this beautiful townhome for rent and would like to learn more, visit Greenleaf Property Management, or call (403) 407-1901.